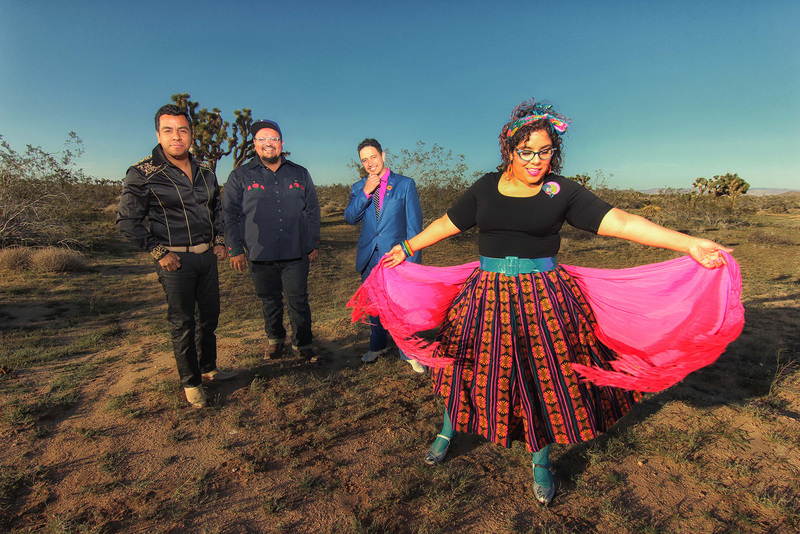 Santa Barbarans get the opportunity to hear and see La Santa Cecilia play live when they come to town as part of UCSB Arts & Lectures’ Día de los Muertos Tour Friday, November 3, which also includes performances by Mexrrissey and Mariachi Flor de Toloache. On a recent Friday, I spoke over the phone to Ramirez while he was in Washington, D.C., with the band, which was playing at the Library of Congress that night. We chatted about making Amar y Vivir, politics, and what Día de los Muertos means to him. What is unique and extraordinary about Amar y Vivir is how it connects the music with the place, giving the songs more context. That [record] was really special for us because we’ve never had a production that big. We showed up to Mexico, and there were huge generator trucks and makeup trucks and all these cameras and all these people. I don’t think we could have afforded that production here in the States. Mexico made it possible, and besides making it possible financially, it made it possible through this magic of being in the streets of Mexico and bringing all these different locations of Mexico City … We did on average two shoots a day, but the heavy days we were doing three, and so we recorded the whole thing in five days. And if you’ve ever been to Mexico City, it’s like, oh man, hustle and bustle nonstop traffic all day. So it was just crazy. It was a feat in itself just to be able to make it happen logistically. How has this visual album been received? The thing that happened intentionally and unintentionally was the project connected people to the soul of the band ​— ​where we come from as a group, as individuals. Our musical and educational base comes so much from that music, and to be able to bridge it with the actual location and bring up the soul of that location with the music was something really special. I think everybody involved is super-proud of the project and the outcome. 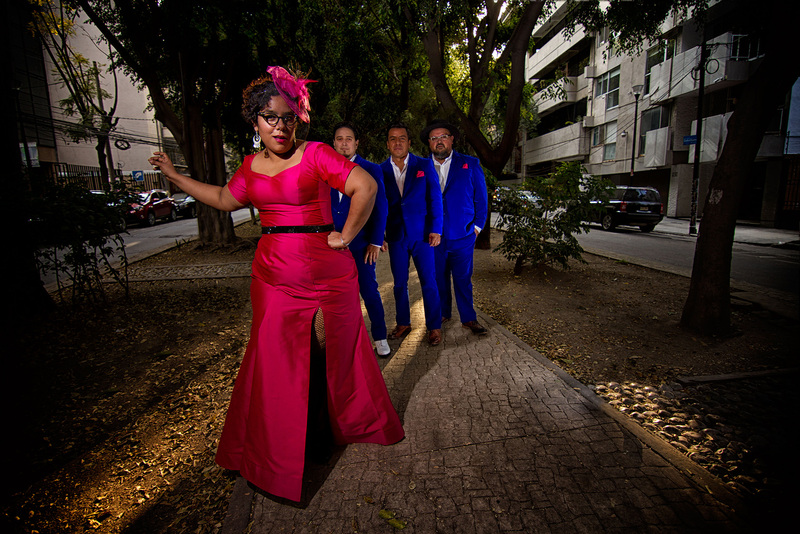 … We’ve always been singing our original music and mixing genres … That [Amar y Vivir] can kind of take people back to our traditional base is, I think, a very special moment. You’re in town as part of a Día de los Muertos celebration. Do you have any personal memories or particular feelings about Remembrance Day? It’s a big part of our culture. It’s a thing that we’ve always celebrated regardless of whether or not the band was happening. It’s a holiday that in Mexico people [take to] honor their ancestors and those who passed away in their family. They go to that cemetery in a very quiet way and honor them by taking them their favorite foods, or their favorite drink, or just spending time with them and taking them food and spending the night with them. In our culture there’s not really a separation between life and death; I think [it’s] a very beautiful thing that we celebrate life every day, but we also celebrate death. To be here in the States and see that people are celebrating [Día de los Muertos] all over the country now, I think that a lot of it is a vanity aspect of being able to dress up and paint your face like a calavera, and that’s cool. But for us, we want to try to get more toward the meaning of what it really is and how people understand that. We’ve been doing what we call a muerto tour for the last few years now, so for us to be asked to be a part of this Día de Los Muertos tour just made a lot of sense. Some of your original tunes reflect social issues. Do you think that you’re a political band? No. We started speaking out on things out of necessity. One of our band members was undocumented in the United States for over 25 years, and we felt the need to talk about it. He had the courage to come out of the shadows and say, “Yeah, I’m undocumented. This is my story.” It was such an empowering thing for him and for our community because they saw someone who was in a position with a lot to lose, actually … We wrote “ICE El Hielo,” which speaks of the deportation process and separation of families, and we aligned with some really cool groups like NDLON, which is the National Day Laborer Organizing Network in Los Angeles. Also, our label got behind it. It was a huge deal for us because it showed how beautiful and how powerful it is to utilize your voice in music and to speak out on things. It was a huge turning point for our group. I still don’t call ourselves a political band because I just feel like we’re sharing the stories of what happens from within our community. Not all of our songs are political. The majority are about love and the ups and downs of life. It just happens to be that we have some very powerful political songs …. Since 2013, we’ve been on that path of getting behind causes or writing songs about things that are happening because we’re living in some very difficult times. I don’t see how you can keep your mouth shut. 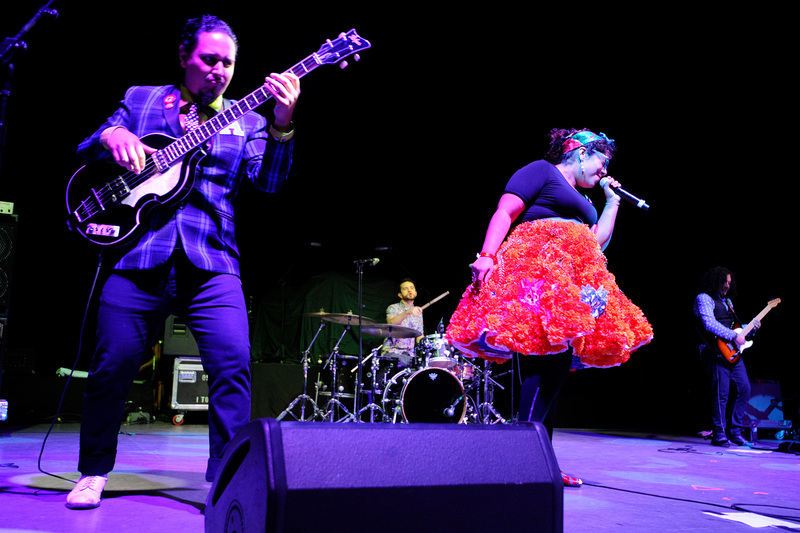 UCSB Arts & Lectures presents the Día de los Muertos Tour featuring La Santa Cecilia, with Mexrrissey and Mariachi Flor de Toloache, Friday, November 3, 8 p.m., at UCSB’s Campbell Hall. Call 893-3535 or visit artsandlectures.ucsb.edu. 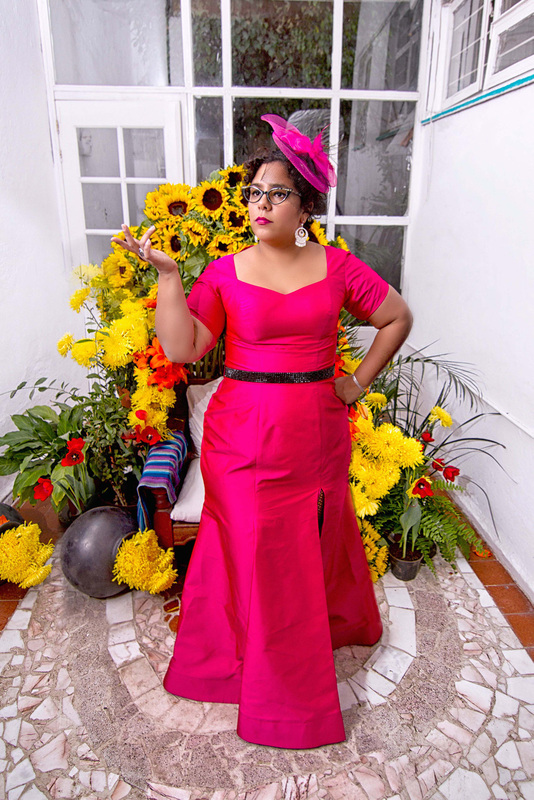 Also on Friday, November 3, at noon-1 p.m., A&L and the Santa Barbara Museum of Art present Sound Tracks: A Musical Conversation with Camilo Lara and Ceci Bastida of Mexrrissey at SBMA’s Mary Craig Auditorium (1130 State St.). The event is free and open to the public.